Over the week of 21st-25th January, Brentside Primary Academy celebrated ‘Kindness and Values’ Community Week. This was an opportunity for pupils to be involved in creating a new set of shared school values that will underpin the ethos and vision of the school going forward, and also reach out to the wider community. KS1 Children learned about community and 'random acts of kindness' throughout the week, and participated in making displays and posters, and baking for others throughout the week. Each class took part in the ‘Kindness Rocks’ project by decorating a selection of rocks which will go around our school pond to remind us of kindness and values. There has also been a Brentside Compliments Post Box- Compliment slips went into the red post-box and were delivered around the school on Friday. On Tuesday, we invited a selection of local residents into the school to watch one our fantastic assemblies and enjoy tea and cakes with the School Council. 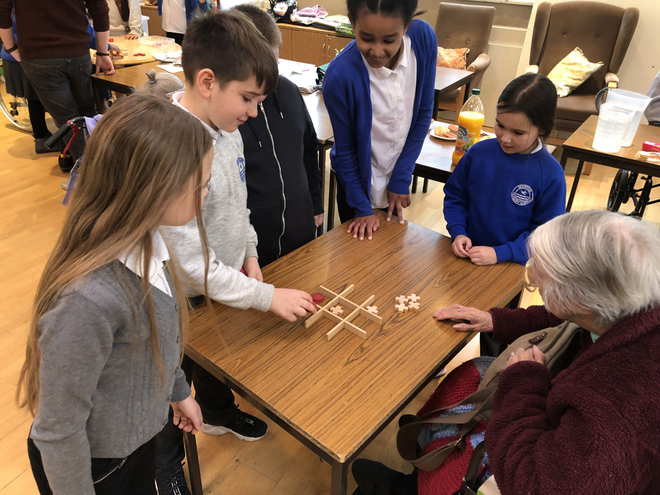 The children and residents had a lovely morning meeting each other and enjoying being part of a shared community. 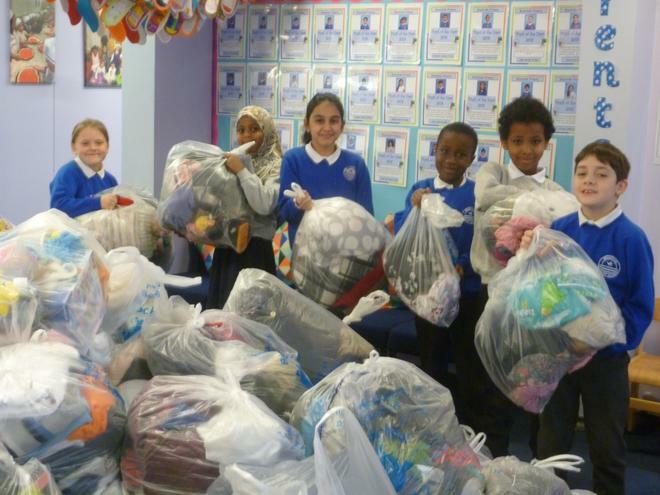 We were overwhelmed with the generosity of donations of old clothes, which will be given to Bag2School, a ‘Cash for Clothes’ charity who collect and sell unwanted textiles to importers and wholesalers in many countries of Eastern and Western Europe, Africa and Asia for resale. The money made will be donated to Barnardo’s. Barnardo's is the UK’s leading children’s charity and protects, supports and nurtures the UK's most vulnerable children and young people. This means we help children in the UK, in other countries, and help the environment by recycling unwanted clothes! 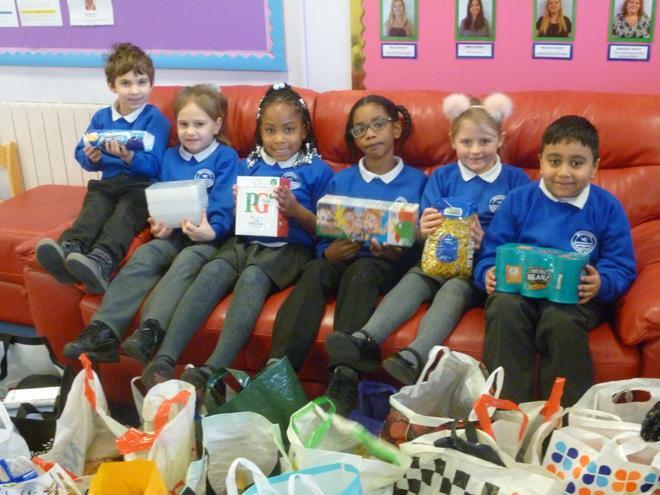 We also collected donations of sealed, non-perishable food items to be donated to Ealing Soup Kitchen. Ealing Soup Kitchen is a charity which has been helping the homeless and vulnerable people in need in the community for over 40 years by providing hot, nutritious food and a helping hand. Once again, the families of Brentside proved what a caring school we are with their generous donations, and, on Thursday afternoon, Andrew Mcleay, Ealing Worker with Homeless People from Ealing Soup Kitchen, visited the school to talk to Y5/6 pupils about the vital work the organisation does and the difference their donations would make. In Early Years and KS1, the children have been making displays and bucket stories on the theme of kindness. They have also been learning about ‘random acts of kindness’ and how they can be good friends within the school community. Reception and Year 1 did some baking to make delicious treats for our visitors into the school, and Year 2 discussed our school values and made a leaf on a tree display of their ideas. 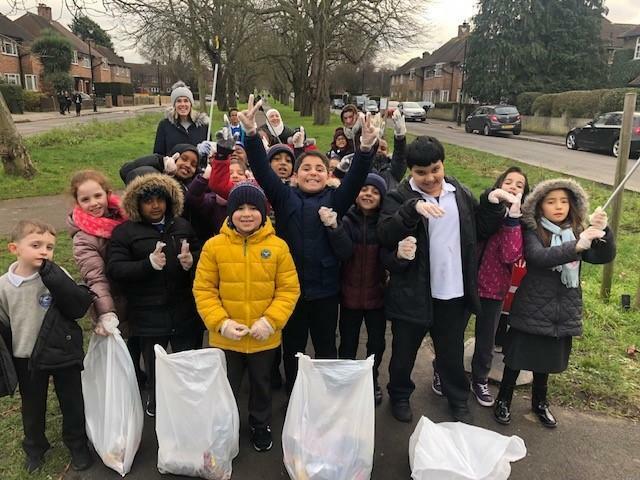 Year 3 helped with litter collection in the local area by spending some time collecting litter and learning how we can keep our local area looking clean and tidy. Year 4 have been acting as playground buddies for younger children and helped organise and sort our clothes collection. 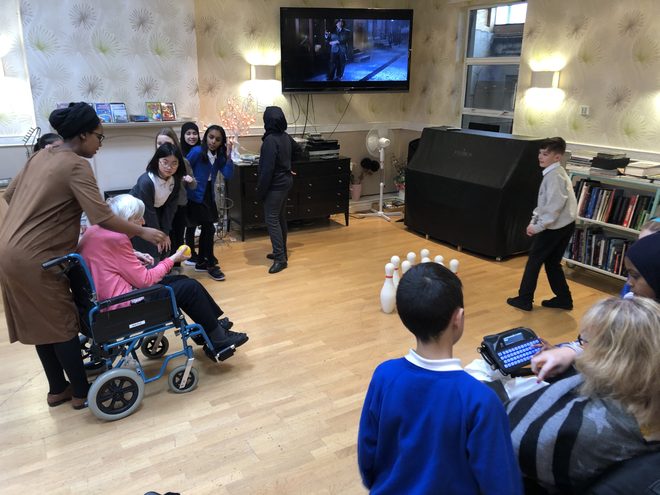 On Wednesday, Year 5 Red visited the residents of St. David’s Care Home in Hanwell, a residential home for the elderly and physically disabled. It was a wonderful morning for both the children and residents alike, getting to know each other and hearing their stories. The visit was such a success, we are looking into make this a more regular occurrence! Year 6 pupils picked a name out of a hat at the start of the week to be their “Guardian Angel” and tried to show as many acts of kindness towards that person as possible for the week. At the end of the week, the children will guess who their angel was. They also took part in a knitting project, with child learning to knit a 20x20 square in school. Once the squares are completed they will be joined together to be donated to a charity of our choice. Finally, all KS2 children participated in Buddy Reading with the Reception and KS1 children on Wednesday; it was great to see them helping the younger children out and sharing their love of reading with them. It was a fantastic week for everyone, and we are looking forward to maintaining our shared values going forward. Thank you to all the children, parents, guardians and families for their support and generosity in making this week such a success.